he high performance FET circuits that Don Randall founded the company on return with the Randall RG80 1x12 high gain amplifier! These circuits combined with modern improvements result in one of the best solid-state amps available today. With 2 Channels and 80 watts of power through a single 12-inch speaker, the RG80 combo amp is the perfect size for practice, rehearsal and even gigs! 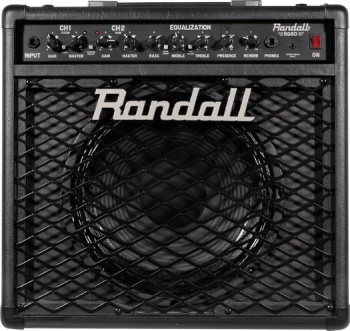 Randall also equips this amp with an FX loop, 1/8 inch Stereo Media input, Headphone output, and a Speaker emulated XLR direct output with ground lift.